Setting off floating lanterns with locals. 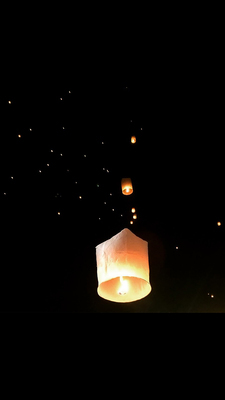 Keller, Madison, "Floating Lantern Festival Chinese New Year in Thailand" (2016). Study Abroad Photo Contest. 65.